-specialty made with 3 strap breeching and curved breastcollar -this harness is not standard -Please see some of our custom made harness we have built for customers. This gives you an idea what we can make for you. 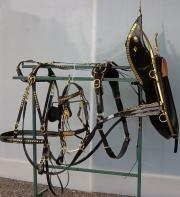 Feel free to ask for a price quote on any Special harness or parts you may need. CALL FOR PRICING. 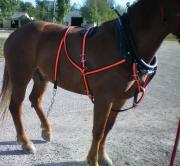 -Have a look at this harness biothane with Brass hardware -Very nice parade or show harness. -CALL FOR PRICING. 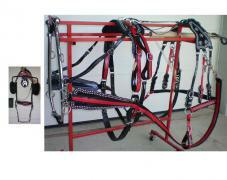 Please see some of our custom made harness we have built for customers. 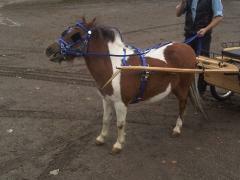 This gives you an idea what we can make for you. 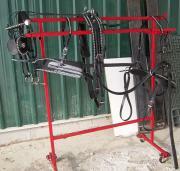 Feel free to ask for a price quote on any Special harness or parts you may need. CALL FOR PRICING.